Make sure you apply that coupon code, though. It’s almost a new year, so why not treat yourself to a new Apple Watch? It’s a good time for it. Currently Amazon is selling the 40mm GPS Apple Watch Series 4 with silver coloring and a white Sport Band for a discount of 5 percent, which is enough to knock over $19 off the price. That means you can buy it for just $365.74, which is one of the best prices we’ve seen to date for this device. Keep in mind, though, that you’ll have to check the coupon box below the price to qualify for the discount. The same discount applies to the larger space gray 44mm Apple Watch Series 4 with an aluminum body and black Sport Loop. Apply the coupon, and you’ll get it for just $407.55, down from the normal price of $429.00. Again, don’t forget about the coupon code. For a recommendation, I’m leaning toward the larger model solely for that Sport Loop. I have nothing against the Sport Band—I wear a black one myself and I find it’s so comfortable that it practically disappears—but someone can see that white Sport Band half a block away. It’s garish. It’ll probably get dirty easily. "If you’ve been waiting for a big improvement to the Apple Watch to add one to your wrist, now is the time. 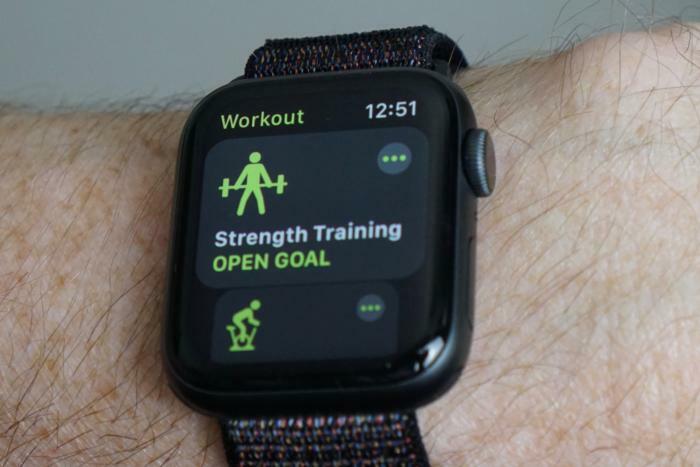 No single new feature is groundbreaking by itself, but the combined experience feels like a night-and-day improvement over previous Apple Watches. If you have a Series 2 or earlier, you’re going to feel like you’re upgrading from an iPhone 6 to an iPhone XS. If you have a Series 3, it’s going to be harder to justify a $399+ purchase less than a year later. With all the new features in watchOS 5 and the solid performance of the Series 3 hardware, you can probably wait another year."